“Well, a million years ago I was left on a doorstep next to a boombox…” Wordburglar (Sean Jordan) is jokingly telling his “origin story,” but it may as well be his actual story. He’s liked rap as long as he could remember, and even the way he speaks is lyrical, as though he could start rhyming at any second. He recalls making his first “demo tape” in grade five with the aid of two tape decks and a friend. 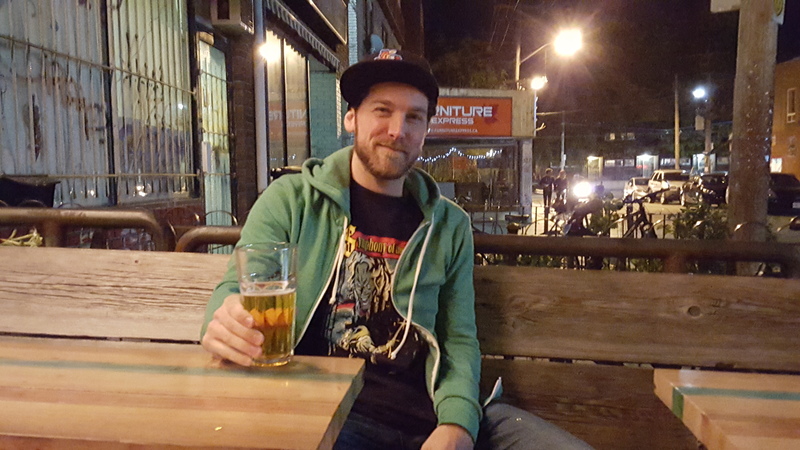 He may not be rapping about pterodactyls on his latest album, Rapplicable Skills, but his rhymes are equally earnest, with references to comic books, sports legends, Ontario politicians and a whole lot more. As per always, this is an effort helped by Toronto’s indie hip-hop community; Beatmason produced the beats for a majority of the album, and rappers like More or Les and Ghettosocks (among many others) guest on some of the tracks. Though Jordan is now permanently a Toronto resident, he moved back and forth between Ontario’s capital and his childhood home of Halifax. There’s a clear difference between the two scenes. Halifax has always been known for its tight-knit music scene, and hip-hop artists are a part of it too. No song on Rapplicable Skills is more of an indication of Toronto’s music scene than “Warp Formula,” featuring Chokeules, Mega Ran, More or Les, Savilion, Sy-Fi, Timbuktu and Ultra Magnus. Though the song is decidedly sci-fi in construction, the album also draws on personal stories. “Bill Mosienko (21 Seconds)” is not only about the hockey legend, but the reverence Jordan’s father had for him. “Channel Halifax” gives enough shout-outs to make a Haligonian break out into a big grin. Songs like “The Other Shop” are a combination of Jordan’s imagination and places he visited as a child. “The Other Shop is a combination of about four or five shops that I’ve been to, some in Halifax, some in Toronto,” he says. One line of the song “We went in because we liked arcade games, but they didn’t seem to like kids our age range” was based on a store in Halifax. How Jordan arrives at these songs varies. Sometimes he’ll be inspired by something—he mentioned hearing Metric’s new album and feeling like he needed to write—and bank it for later. But with songs like “Word Currency,” which is full of “punchlines,” each line flows into one another. An amazing album from an amazing artist!